Action packed, blood soaked, and chilling, this is the dark and compelling sequel to the best-selling The Murder Complex, which Booklist praised as "carefully crafted...chilling" and Justine magazine called "a must for fans of action-packed dystopians like The Hunger Games and Divergent". With short, fast-paced, alternating point of view chapters, The Death Code starts several weeks after The Murder Complex ends. Zephyr keeps the secret about Meadow close - that if she dies, The Murder Complex will be destroyed, too. Meadow, desperate to find her brother, father, and little sister, is determined to fight fearlessly to the end, even if it means sacrificing herself and her friends, new and old. 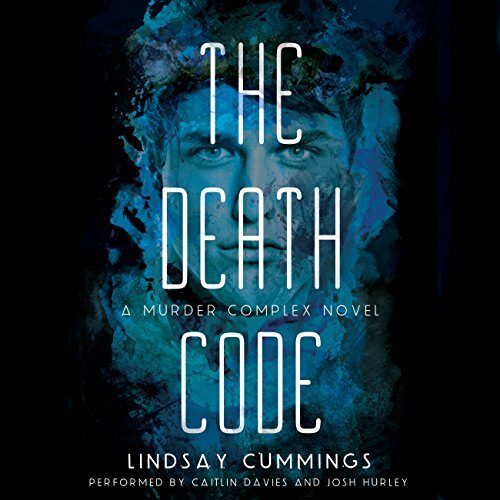 The Death Code introduces a memorable cast of secondary characters and delivers a vivid and scary thrill-ride listen. For fans of La Femme Nikita, Legend, and Hanna. Can't wait to hear about The Green!!! The author depicts the story wonderfully. Meadow rocks!